I started the choir in February 2016 as a new fundraising venture. 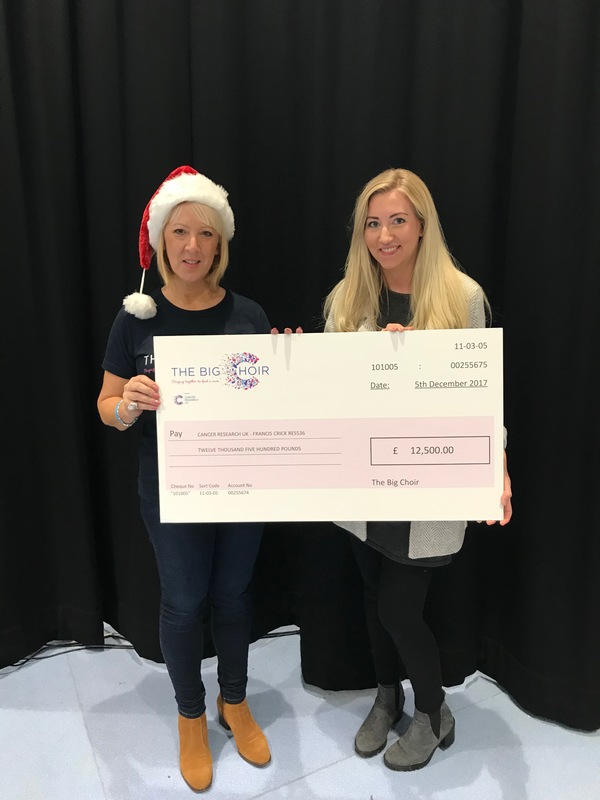 I wanted to raise money specifically for research into all cancers which is why I have chosen to support the brand new research facility in London, The Francis Crick Institute. Having gone through extensive treatment for Her 2 positive breast cancer myself in 2011/2012 I became aware of the major advances in treatment compared to others who had suffered the same diagnosis as myself, but years earlier. I realized that it was thanks to the advances and discoveries made by CRUK through their amazing research that I was one of the lucky ones. Had I received the same diagnosis years earlier I may not have been quite so lucky. This is my way to say thank you for giving me my life back. I attended a choir while I was going through my treatment. It had the most overwhelmingly positive effect on my state of mind. I’d have to drag myself there sometimes, but after just ten minutes surrounded by lovely people, singing together, something happened to me. It lifted the dark cloud and gave me so much energy and positivity that I’d carry with me over the following days. Just practicing the songs at home helped too and I realized a few years later, when I was trying to come up with ideas for my next fundraising venture that this was just about the perfect model, to give people something amazing in return for their hard earned cash. People who enjoy singing anyway pay their subscription, have a fun, uplifting 90 minutes, making new friends and supporting this fantastic research facility every week with their donations. It’s win win for everyone. I’ve been completely overwhelmed by the support of everyone who has joined the choir. They come week after week and we’re in demand now with local groups for our performances!! We really have become one big happy singing family! My goal is to have choir’s anywhere and everywhere that wants one. These things take time but it’s good to dream.